Having been in business for 14 years and boasting over 420,000 pet care visits worth of practical experience, we are well placed to understand the needs of everyday pet owners. We talk to them every day! We understand that your pets will miss you like crazy whenever you are not there with them. But as much as you love them and love spending your time with them, you have a life to lead and you cannot be with them 24/7. We also understand that whenever you go on holidays, take a short break or travel for work, you have a very important question to ask yourself. Who will feed my pets? This is a question every single pet owner faces at some stage in their life. We want to help you find your ‘peace of mind’. We want to help you find your pet care solution. Having family, friends or neighbours drop in to care for your pets can certainly be a cost effective and viable option for you. Whether as a favour, or an agreement that you look after their pets next time, or whether you pay them, calling on family, friends or neighbours is often a pet owner’s first option. Of course, not everyone has someone like this to call upon, but it can work well if you do. It tends not to be a longer-term solution for you though as many people feel uncomfortable continually asking someone else to care for their pets. There may not be family, friends or neighbours available for you every time you may need pet care. There is also a chance they have no or little pet care experience to call upon (do they even like pets?) and certainly no Public Liability in place should something go wrong. Kennels and catteries have long been the most considered option for pet owners who need to go away. Most of the larger kennels are located on the outskirts of town which means it is often a good drive from your place to drop them off and again to pick them up again, so you will need to factor in travel time and petrol. Some of the larger kennels and catteries have a convenient pet pick up and drop off service which normally costs a little extra or is built into the quoted cost. Many kennels have evolved dramatically of recent times. They are catering for the pampered pets, offering individual suites with real time CCTV footage so you can see how your pet is settling in. This premium service comes at a premium price but is a viable option for pets who may find the general kenneling area a little intimidating. 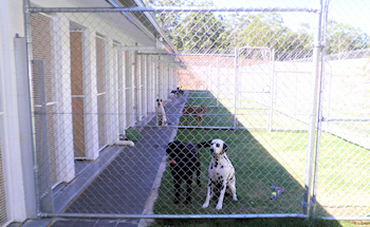 Many kennels have veterinarians either onsite or on call in case of emergencies or sickness. Recently boutique pet hotels have become available, who cost a lot more, but are often located more conveniently and closer to the city. You will need to book your kennel or cattery well in advance, especially during peak times of Christmas and Easter, as there are only so many pets that can be accommodated at any one time. You will need your pet to be fully vaccinated to C5 level and be able to produce a valid certificate. Kennels and catteries almost exclusively look after dogs and cats, so they will not be the solution to look after your other pets. This service is mainly for dogs, where you take your dog, dog’s food, bedding and toys into another person’s home to sleep overnight. It would normally include a walk at least once a day and they would look after your dog in their own home as if he was their pet. To ensure your dog’s safety, you will need to personally check that this person has a secure yard and secure house. Check where your dog will sleep. If your dog is used to sleeping inside, you won’t want him being left out in the cold. You will need to know if they have their own pets, or will be caring for other client’s dogs who your dog will interact with. When you meet the person beforehand take your dog with you to see how they interact with your dog and ask whether they will be mostly at home day and night, or whether there will be long periods that your dog will be left unsupervised in unfamiliar surroundings. Ask if they have public liability insurance in case something was to happen to your dog. You will need your dog to be fully vaccinated to C5 level and be able to produce a valid certificate. Having someone come and stay overnight at your place really works well for some people. It provides extra security for your property as someone is still physically there. They can care for your pets and plants as well. Some house sitters charge a fee for providing you with their service, but others do not. You will need to meet with the house sitter prior to going away, preferably at your home. Check their references, view their police check and ensure they have lots of experience caring for pets. Make sure you are fully comfortable having this person stay unattended at your place. See how they interact with your pets. You will need to establish some rules around them staying at your place, for example whether they can bring a friend into your home and whether you allow parties. You will need to leave them detailed instructions on how to use the television and connected technology, whether they can use your wifi, eat food in the fridge. House sitters are normally covered by insurance should something break or not go to plan. Using a house sitter is most suited to longer periods of time, because it is easier to match up a house-sitting request for weeks or months, rather than just a couple of days. Whilst it is always advisable to keep your pets’ vaccinations up to date, it is not mandatory in this case as they are staying in the comfort of your home. Going on holiday with your pets can be great fun. Dogs are the easiest pets to take on a road trip. However, cats, rats, rabbits, birds and fish are usually better off at home. Cats don’t share the same sense of adventure that dogs do and so do not cope so well with travel and strange environments. Recently there has been a rise in the number of pet friendly accommodation options available to pet owners, and this can be a great way to enjoy a holiday with your furry friends. There are many different ideas about what constitutes ‘pet-friendly’ though so always check in advance what the rules are: are the pets allowed inside? Can they sleep on the bed? Is there secure fencing? Are there other animals on the property? Do you need to take your own pet beds and bowls? Do they need to be C5 vaccinated? Keep in mind there are some places pets are not allowed at all, so this may restrict what you can do and where you can go whilst on holidays – pets are not allowed into National Parks, for example. Using a reputable pet sitting service is a popular choice for many pet owners. The main benefit of this option is that your pets get to remain in the comfort of their own home and sleep in their own bed. They experience less disruption to their normal routine. You know they are happy and safe at home. During their visit to your home, a pet sitter will walk your dog/s, feed all your pets, pick up dog poo, clean kitty litter trays, water your plants, tend your rubbish bins and collect your mail. They’ll love and cuddle your pets and check for any signs of ill-health or anxiety. 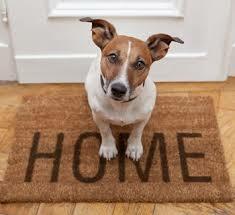 An added benefit is that someone is checking your house each day and your pets are at home so it’s not left empty. 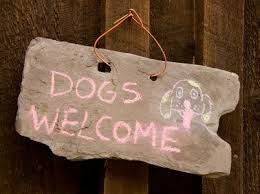 Pet sitting is ideal if you have multiple pets, as you can get all your pets looked after in the one visit. You don’t have to take your dog to a kennel and then your cat to a cattery, but who then who feeds the fish? A pet sitting service usually becomes more cost effective the more pets you have. When choosing a pet sitter, make sure you meet with them first, view their references and ask if they are they police checked. When they visit you, watch how they interact with your pets. Use your instinct to assess whether they are the best person to care for your pets. You must have peace of mind while you’re away that they are being loved and cared for the way you would do yourself. Like choosing any service, do your research, read the testimonials, assess the competence and ease of making a booking. Talk to different businesses and evaluate whether your pets will be their main priority and they have relevant experience for the specific needs of your pets. Discuss the best way for them to keep you updated about your pets when you’re away. Ask them if there are backup carers in case they get sick or delayed. Most pet sitters have Public Liability Insurance and this should be considered a necessity when making your decision about which pet sitting business to entrust with the love and care of your pets. 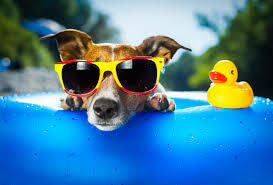 Whilst it is always advisable to keep your pets’ vaccinations up to date, it is not mandatory in this case as they are staying in the comfort of your home. Which option will give me Peace of Mind? All the above options provide a genuine solution for pet owners. None are better than the rest. Some will work for some pet owners, but not others. The challenge is for you to find the one that works best for you and your pets and their individual needs. Of course, we would love the opportunity to care and love your pets. This is all we do. But we also understand our service is not for every pet. We sincerely want to help you find your best pet care solution; your peace of mind. Your life will be better once you do! If you think that your pets may be more comfortable staying at home next time you go away, please leave your details in the comments below. Even if you have no plans to travel yet. There is absolutely no obligation to book us, but you will be on our mailing list. Once you are on our mailing list, IF you do ever book a Lonely Pets Club service, you will receive FREE lifetime Membership, normally $15 – $25. Good luck finding your peace of mind with the pet care option that best works for you.